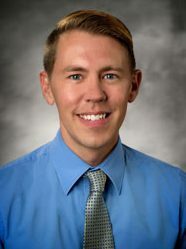 Originally from Wisconsin and Iowa, Jeff Ensign graduated with his bachelors degree from the University of Northern Iowa, where he played tuba and majored in Music Education. Ensign went on to be the band director in Boyd, Texas before he attended the University of North Texas for his masters and PhD. His dissertation, “Form in Popular Song, 1990-2009,” examines form in 402 songs from the year-end Billboard Hot 100 charts. Dr. Ensign’s research interests are in popular music and music theory pedagogy. He has presented on a variety of popular music topics including the changing verse-chorus form, the influence of electronic dance music (EDM) on popular song form, and sentence-structure phrases in popular song at regional conferences across the country including Music Theory Southeast, Midwest Society of Music Theory, Rocky Mountain Society for Music Theory, and the Texas Society for Music Theory.